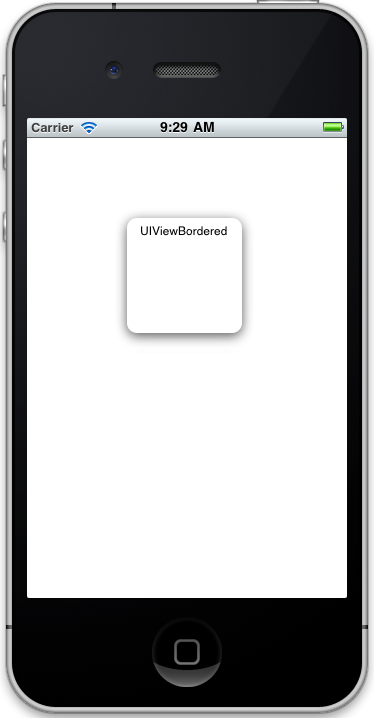 To test just place a UIViewBordered view as a subview of the main window and position in the middle with a size of 100×100. When I use MasksToBounds = false the background outside of the rounded corners shows. How can I clip those but keep the shadow? You need to add a subview that also has rounded corners but no shadow and turn on MaskToBounds for this one. Then you add any other views as subviews to this second view. I have had to do this a couple times. Nice bit of code, thanks for sharing it. This is great and exactly what I needed. Thank you for sharing it.